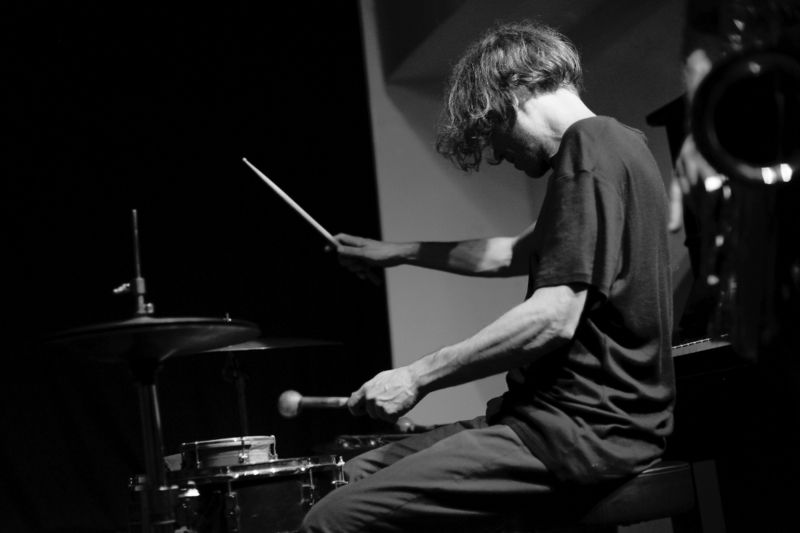 Portugal’s avant-jazz scene continues to surprise and delight. 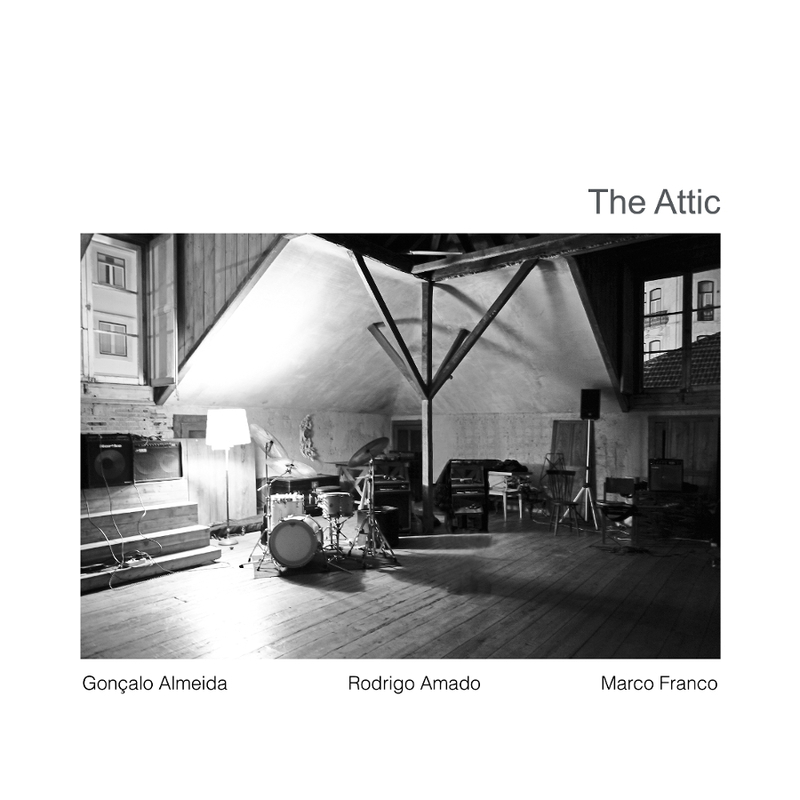 Recorded in the loft space at SMUP, a pioneering arts venue in the Lisbon satellite of Paredes, The Attic brings together three of the country’s finest improvising musicians: bassist Gonçalo Almeida, tenor saxophonist Rodrigo Amado, and drummer Marco Franco. 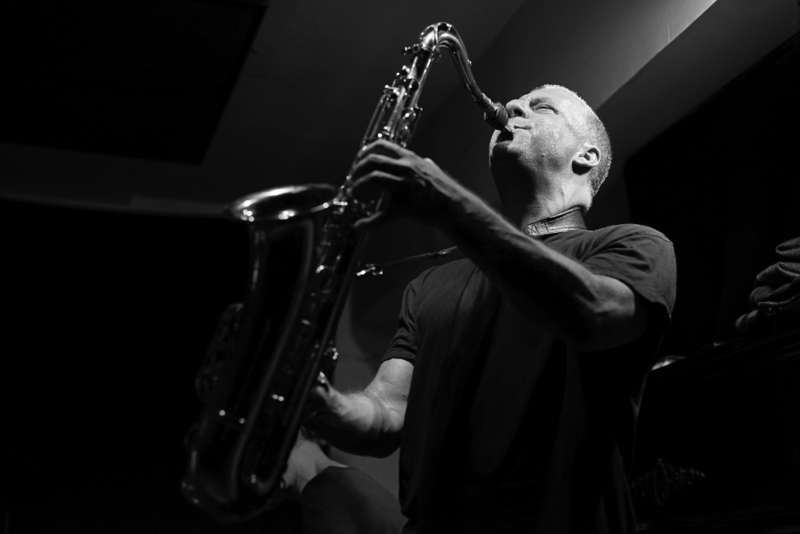 Amado’s star is on the rise, following 2015’s excellent This Is Our Language with Joe McPhee, Kent Kessler and Chris Corsano, and last year’s superb offering from his own Motion Trio. He’s a generous collaborator, and The Attic is as much Almeida and Franco’s show, with the bassist’s elegant and powerful playing often setting the scene. ‘Shadow’ opens with a beautiful bowed solo. Playing in the instrument’s higher register, Almeida teases out elegant melodic phrases, shaded with darker double stops. There’s a beautiful clarity and light to this piece, with its modal harmonies giving rise to lines that remind me at times of European folk forms and minimalism. Amado plays the tenor in a pinched altissimo that sounds uncannily like a stopped trumpet, but for the fluidity of the steps, adding to music’s heightened sense of otherness. By the end, he’s making like Pharoah Sanders at his most blissful, giving a spiritual jazz sermon from some holy mountain. If Franco is a subtle presence on the quieter tracks, his colouristic approach takes on a fauvist intensity on ‘Board’, where he scurries around the kit, firing off short fills and accents over a free pulse. Combined with Almeida’s rock solid bass strut, it gives the music a non-linear momentum, so it breathes and flexes, rather than tearing off in a single direction. ‘Nail’ comes in hard, with Amado blowing in a classic free jazz style over Almeida’s dark and woody bass. Franco’s drums crash, rumble and splash, but his light touch ensures each hit lands with a gymnast’s agility, rather than a blunt force. Amado alternates between high, strangulated tones and guttural honks, filling the gaps with cheeky staccato triplets. Yet while some saxophonists would deliver such sounds with macho volume and blare, Amado plays them with a subtler, rounded tone. He’s authoritative but never domineering, serving the collective improvisation.